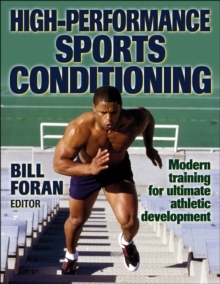 This work is a guide to building athletic performance. It follows the same progression as a sound conditioning programme, first testing and building up the nine essential fitness components, next tailoring the training exercises and drills to the development of sport-specific performance factors. Finally periodizing the training programme precisely for peak performance at critical points in the competitive season and, if necessary, using a safe and effective reconditioning regimen to bring an athlete back from injury.